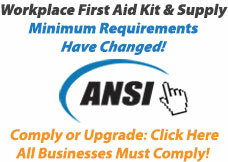 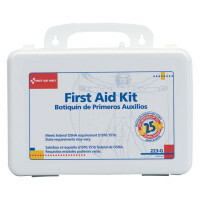 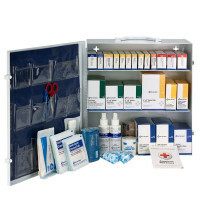 To meet OSHA standards, a first aid kit doesn't particularly have to be filled with unitized boxes. 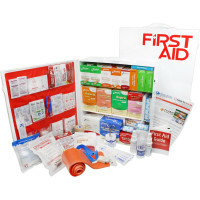 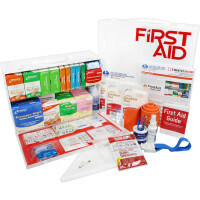 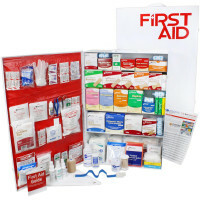 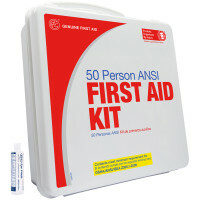 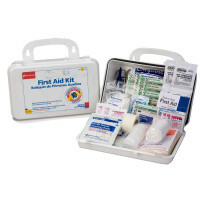 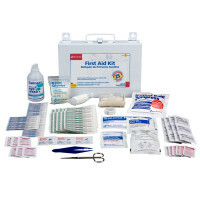 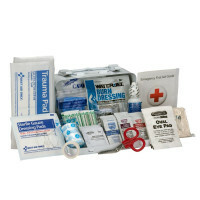 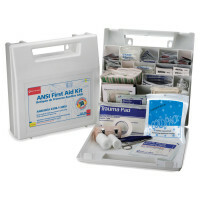 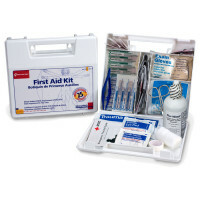 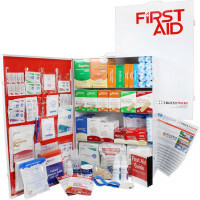 Our Bulk First Aid Kits meet OSHA specifications but are filled with loose items, or part thereof, meaning not all of the content are packages in individual boxes. 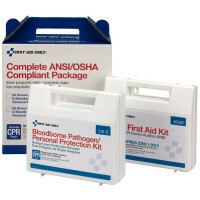 These kits are ideal for when purchasing larger bulk boxes for refilling is preferred.